Our financial planning philosophy is based on three core principles: purpose-driven asset planning, tactical asset allocation, as well as consistent communication and reviews with our clients. Your financial plan is a living, breathing concept. As your life changes, so will your plan. Our process of regular, timely portfolio reviews keeps your financial plan consistent with your needs. Our Raleigh financial advising firm believes that education and understanding of your current situation is vital when making decisions concerning your future financial condition. If you have any questions about your current financial situation or wish to schedule a consultation, please contact us today. 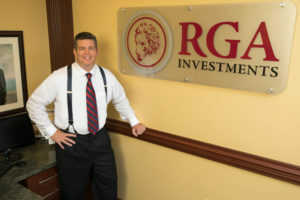 We’re proud to offer comprehensive financial services to clients in Raleigh, Durham, Cary and the surrounding areas.